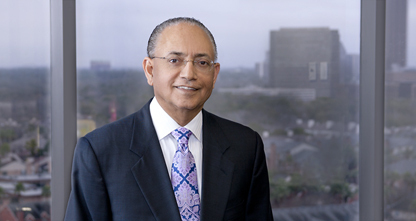 Paul Madan has been practicing law for more than 25 years. His experience includes all aspects of intellectual property (IP) law, including extensive opinion work, patent prosecution, patent litigation, and litigation support. Paul works closely with clients in developing IP strategy and IP portfolio management. He was also in-house counsel for a large oil service company and has extensive experience in licensing, complex-technology related agreements, and mergers and acquisitions of which Paul has been involved in more than 20. He has extensive experience in the oil and gas, electronics, and software industries.